More details can be found HERE on my personal blog. I started this card by creating the focal panel. 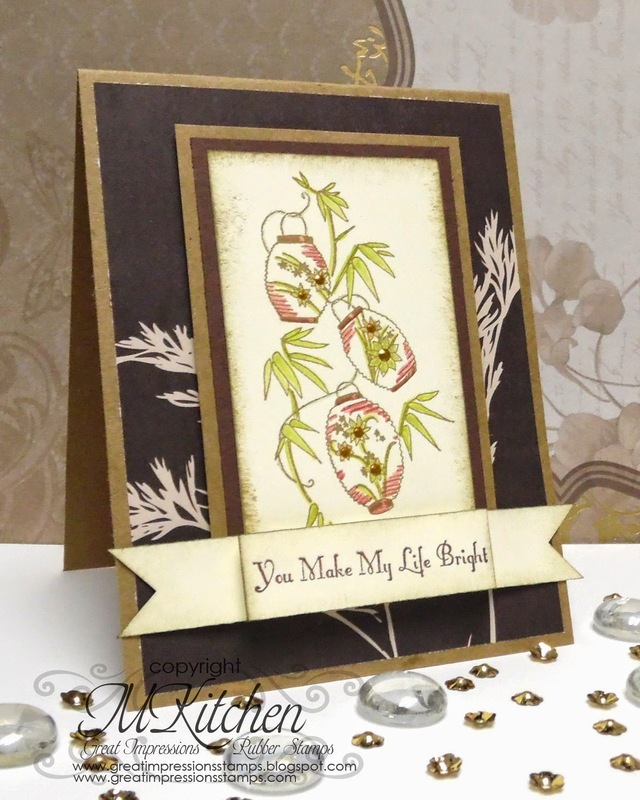 I stamped the image, G362 Chinese Lantern, and selectively colored it with blender pens and ink. I added some sparkle with a clear glitter gel pen and added centers to the flowers on the lanterns with liquid pearls. Next, I added the panel to a card base with some fun patterned paper. I decided to add the sentiment, D399 My Life, as a sort of folded banner to the bottom of the image to anchor the card more. The final creation is perfect for many occasions! You could give it to a friend just because, use it for a thank you, or even use it for an anniversary card! What occasion would you use this card for?